If your system has a hardware RAID, please create a RAID array in the RAID controller setup. Please refer to the RAID controller manual. You do not have to install drivers or RAID array monitoring and maintenance software. If your system has motherboard RAID functionality, please do not use it as it is not supported. 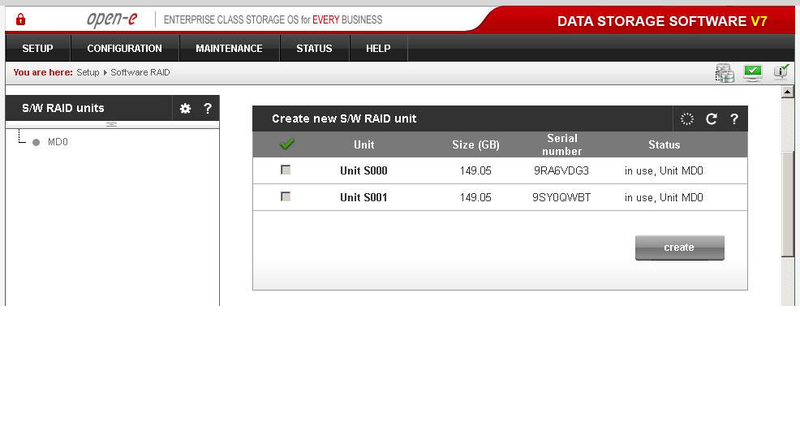 In case you want to use software RAID with single drives or even with installed hardware RAIDs, please first go to the “S/W RAID” tree in the “Setup” menu. You will find a list of available units. A unit can be a single hard disk or disk arrays if you have a hardware RAID in the system. Software RAID can be created for a single hard disk or hardware disk arrays. 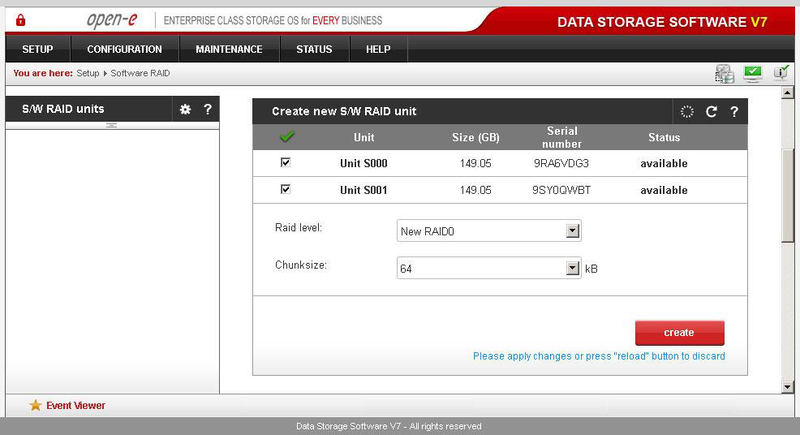 To create a software RAID, please select relevant units, choose the RAID level and click on the “create” button. After clicking the “create” button, the status will change to “in use” and additional information describing the kind of disk array (e.g. MD0 is RAID 0) will be displayed. Posted: 19 Mar, 2013 by Dydak M.
Updated: 19 Mar, 2013 by Dydak M.